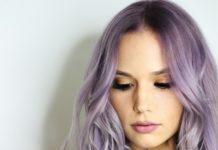 Hair SPA treatments have now become the latest trend to maintain the healthiness of your hair by conditioning them deeply. And why not, when they are giving sure shot results. 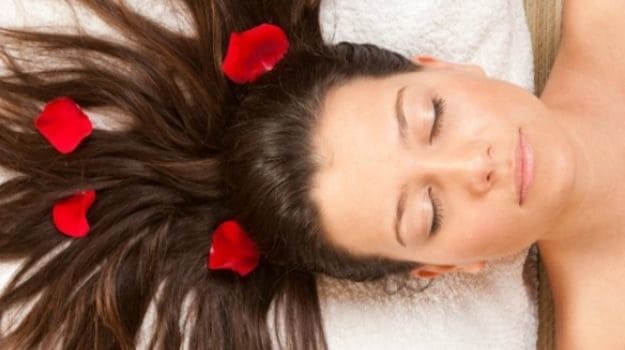 These hair SPA treatments are meant to condition your scalp, strengthen the hair strands, enhance the blood circulation, relax the muscles and lend you with a lot of comforts. Also, these SPA treatments also preclude ageing of the scalp and hair, removal of impurities, nourishment of the scalp and hair thereby making them healthy, annealing the oil secretion in the scalp and relief from mental stress. All in one package! With these hair SPA natural treatments, one can get a solution to many hair problems like damage hair, dull hair, weak strands, hair fall, dry hair etc. and that too without any side effects. 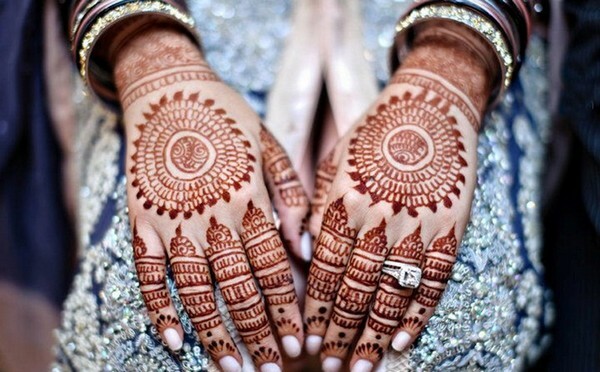 The best thing is that you need not take prior appointments or spend hours in the parlour or do a lot of expenditure. These can simply be done at home with much of ease and as per your convenience. Here we bring you some of the most amazing natural hair SPA treatments that can you can do at your home easily and quickly. Results are guaranteed if performed with perfection. Since ages, Olive Oil is known for its miracle properties especially when it comes to hair. To give yourself a hair SPA treatment at home all you need to do is to: Gently massage your scalp and hair with Olive Oil and allow it remain for fifteen minutes. After that, take a cotton cloth and dip it in lukewarm water. Then remove additional water by squeezing the cloth and enfold it around your hair in such a way that it steams your hair properly. Let it happen for ten minutes. Once this is done, rinse off your hair with a gentle shampoo. The best thing about this Olive oil massage & hair SPA treatment is that you need not apply conditioner to your hair as Olive Oil works as an effective conditioner too at the same time when you apply it your hair. It is a two in one magic. Read more: Best way to get rid of fleas in human hair. Avocado has the magical properties of bestowing the hair with superb radiance because it is a rich source of nutrients. Moreover, this further helps in precluding any damage to the hair thereby making them a lot-lot healthier. For the Avocado conditioning mask and hair SPA treatment, what you need is two big avocados and honey. Take a wide bowl and make a smooth paste by squashing both the avocados. Also, mix one big tablespoon of honey to it. Comb your hair finely so that they do not twist or tangle. Then apply this amazing hair SPA paste, right from the scalp to the hair tips. Once applied properly to your entire scalp and hair let it remain as it is for about twenty minutes. Then wash off with a mild shampoo. You will be left astounded with your lustrous, smooth and soft hair and this is sure to make you earn lots of compliments too. Eggs are enriched in protein factor and thus turn out to be an effective hair SPA treatment that can be easily done at home. The process that you need to follow is to: Take a bowl and take some coconut oil in it. Now also add one egg to it and mildly apply in the form of hair mask. For good results, twine your hair with a warm towel and leave it in the same way for next 15 to 20 minutes. When done, rinse off your hair with a gentle shampoo. Mark a point that you do not use hot water to water to clear the egg mask rather use cold water so that the smell of the egg can also flee away. 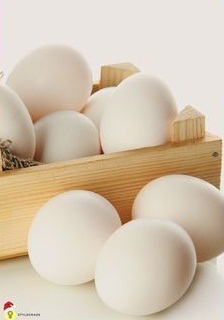 The egg is efficient enough to save your hair from any damage thereby rendering strength and enhancing the growth. 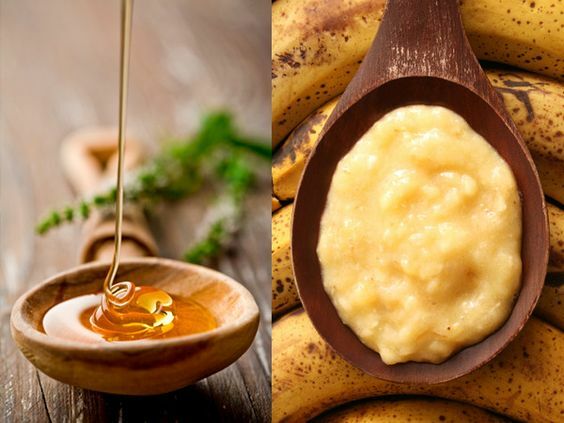 Vitamins, Potassium and natural oil are available in banana in abundance, so here you will come to know about the hair SPA treatment that can be done with the help of ripe banana. Take a bowl and add a small cup of olive oil, one ripe banana and one egg white to it and blend it well. The ripe banana hair SPA mask is ready. Apply it on your hair properly with and let it remain as it is for next 15 to 20 minutes. When the time is over, use a soft –gentle shampoo to clean your hair. This treatment will turn your hair much softer and will also safeguard them from any damage like hair fall and split ends. It will also lend your hair with natural elasticity. A simple and quick SPA treatment to your hair! Pick up a bowl and pour one glass of raw milk in it. Then add one big tablespoon of honey to it. 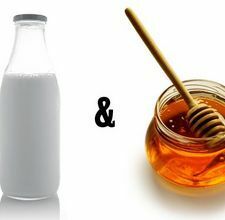 Mix it well and Apply this milk and honey mask in such a way that it covers your entire hair that is right from the root to the layers and the tips. Now softly massage your hair. Let this mask rest on your hair for next 15 to 20 minutes. After the advised time, rinse it off with lukewarm water and later followed by shampooing. Sheen and soft hair will leave you spellbound. The best part about this hair SPA treatment is that it fulfils all your hair needs in one shot. 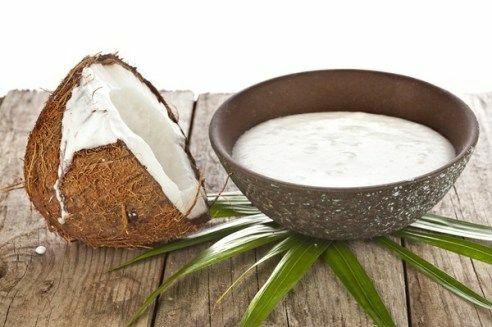 You need the coconut cream to perform this Coconut Cream Mask hair SPA treatment and this you can either purchase from a departmental store of making a smooth paste of coconut with the help of a blender. Whatever you choose; take ample amount of coconut cream in a bowl and then warm it up decently with the help of your hands. Now apply it to your hair and softly give a massage too for next five to ten minutes. Next step will be to dip and squeeze a soft tissue towel in lukewarm water and let it rest over your hair and mask for at least one hour. Finally, clean it off with a mild shampoo, and it is a strict NO to blow dry thing after this treatment. The name of strawberry is enough to make your mouth water. They not only taste delicious but serve as an amazing way to treat your hair too. Sounds surprising, isn’t it? But yes, this is true, and even you will agree to the same once you try this Strawberry mask hair SPA treatment. Check out on what you need to do: Get a bowl from your kitchen and mix all these so well that it turns out to be a smooth paste: one egg yolk, two big tablespoons of olive oil and one cup of sweet red strawberries. Apply this paste to your hair and let it remain for at least 15 minutes. Then clean and clear your hair by washing them with a gentle shampoo. Honey is one of the best gifts to us from nature. Right from medication to beauty, it has endless magical properties. 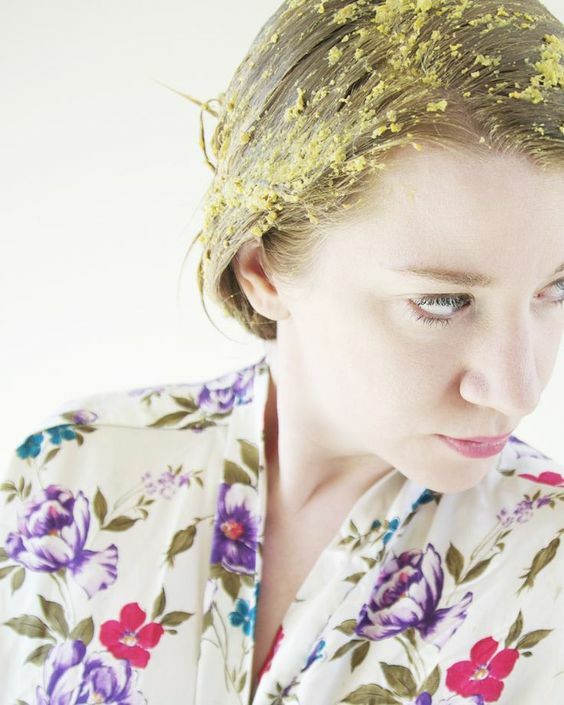 When it comes to hair treatment, honey leaves an everlasting impact. It brings back life to your dull hair, safeguard them from getting damaged and make them very soft in texture. Now, to use it as hair SPA treatment, all you need is just half cup of honey, and that’s it. Now dip your fingers in it and very gently massage it into your hair. Keep in mind that your hair should not be completely dry while you apply it rather they should be slightly wet. Though it might feel viscid and messy to your hair after leaving its effect, you will have no complaints but only complements and compliments from yourself and everyone. 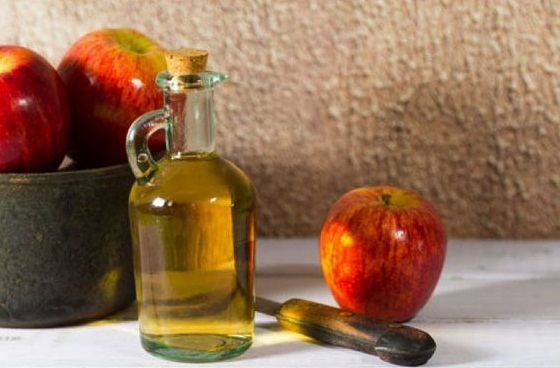 Apple Cider Vinegar is also known for its medicinal wonders so how can it be left behind when it comes to being a part of hair SPA treatment. Very quick and easy steps for the SPA treatment: Take equal proportion apple cider vinegar and water in a small spray bottle. Mix it properly. Now spray this concoction over your hair and let it rest for next five minutes. Then just rinse off your hair with a mild shampoo followed by conditioner. 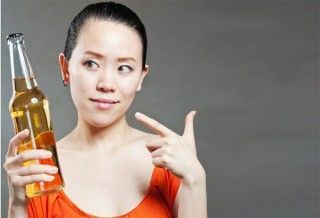 So if you have to go to any party or occasion in the evening, then this Apple Cider Vinegar hair spray is the quickest and simplest hair SPA treatment. This will prevent hair from crimping and lend it with a smooth touch. Rich in protein, Beer turns out to be a saviour especially when it comes to conditioning dry hair. It fortifies your hair thereby bestowing them with the required moisture. Beer hair SPA treatment is not only easy to do but a speedy way to render shine and softness to your hair. The process includes: Shampooing your hair as you normally do and then pour little bear into your hair. Give a soft massage and wash off your hair after five minutes. You will notice the change. Cucumber hair SPA treatment involves the following steps: Make a fine paste by mixing four pieces of grated cucumber, two tablespoons of olive oil and one egg white. Gently massage this paste to your hair for about fifteen minutes and wash it off with the help of lukewarm water only. Isn’t it an easy and quick way of lending yourself with a hair SPA at home itself? The, rush and give it a try to welcome the smooth and silky texture of your hair. First of all, apply oil to your hair and scalp before you go for this treatment. 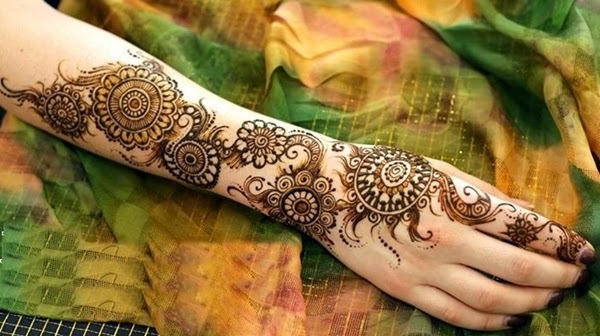 Get yourself a bowl and add two tablespoons of henna powder, two teaspoons of reetha powder, two teaspoons of amla powder and two teaspoons of shikakai powder to it and mix them well. Now apply this mixture to your scalp only and let it remain there for one hour. Once the time is over, clean it off with normal water. You must be thinking what the role of oil was. Well, here the oil will preclude henna from leaving its colour effect over your hair, but this is an amazing hair SPA treatment to cure dandruff. Are you dry hair churning you up? Don’t give up as there is such a hair SPA treatment that will kick off all your irritation. 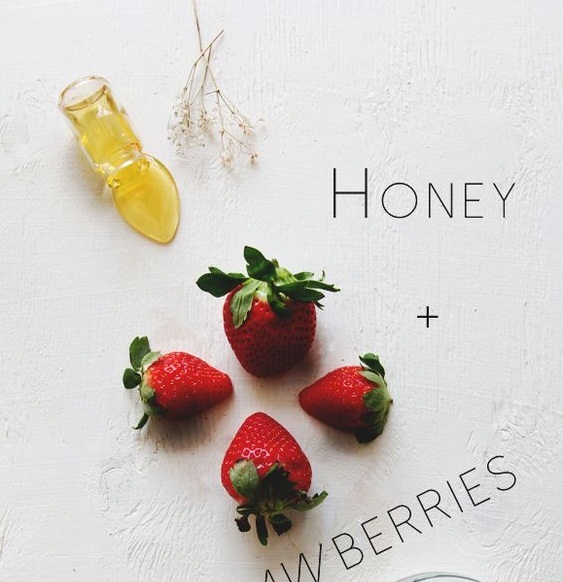 Pick up a bowl and mix all these properly: two tablespoons of olive oil, one teaspoon of honey and beat an egg too. What are you waiting for! Apply this paste on your hair and leave it for about 15 to 20 minutes. Later, rinse it off with moderately warm water. You can even shampoo to avoid any smell. The results will leave you speechless. 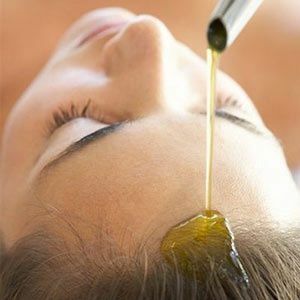 Are you disgusted with your oily hair and looking for some hair SPA treatment? Here it comes, take out ample fresh aloe vera mush and add some drops of lemon juice to it. Apply it to your oily hair and let it remain for 15 minutes. Then wash it off and don’t forget to shampoo your hair. You will certainly experience the change. Do it once in a week. Simple and speedy! Take a ripe Avocado and mash it well. Now mix two tablespoons of curd to it. Apply to your hair and leave it for 15 minutes and then rinse it off. Later on, you can shampoo and enjoy the change. Are you finding some solution to your dull hair? Do you want them to look refreshing, shiny and smooth? Well, then here is the solution. Soak one teaspoon of fenugreek seeds for overnight one day before this hair SPA treatment. Next morning, Take a bowl and mix all these three: one teaspoon of honey, one teaspoon of fenugreek seeds and three tablespoons of curd. Now apply this concoction on your hair for about half an hour and then rinse it off followed by shampooing and conditioning. You are sure to be left stunned! Above given hair SPA treatments are one of the best and hence give them a try. The results will make you earn lots of accompaniments. So, get ready to be the centre of attraction wherever you step. Also, don’t forget to share your experience and ideas as they are most welcome.